I’m not sure if you can get in this place unless you are attending a gig or a club night so, technically, it’s not a pub so, technically, it shouldn’t be listed here. But how many times am I going to get to mention the Auto Club in a blog post this year, huh? Exactly. 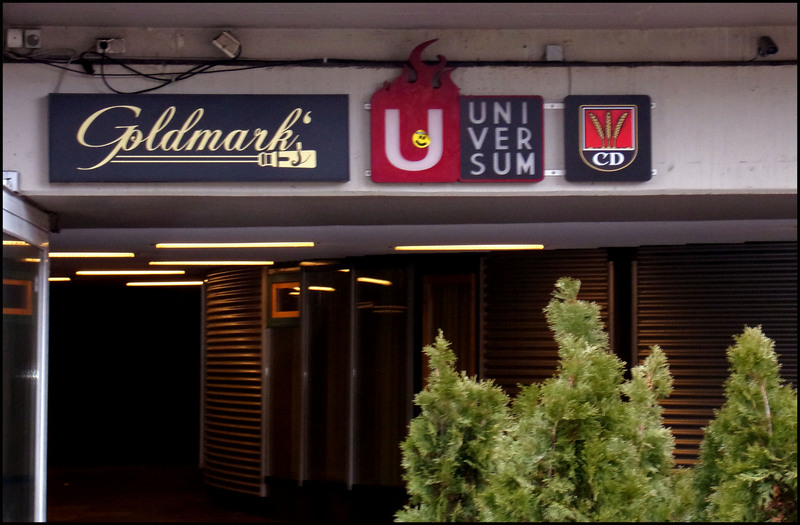 Goldmarks is an absolute nightmare to find. Thankfully, I was with someone who had experienced that nightmare the previous year. It’s an interesting space. The main room houses the stage and off to one side are a couple of rooms where you can sit and relax with a beer away from the crazy punk rock kids (and adults) who are pogoing around the main room. There’s some interesting artefacts on display. Including several skeletons that look like they are auditioning for a starring role in the Day of Dead festivities and a couple of framed photographs of an old geezer who looked like, but wasn’t, Vyacheslav Molotov. The beer on sale comes from Dinkelacker. CD-Pils was the house brew of choice so that’s what we opted for. It was only €3 for 500ml. And it was served in an actual glass. You don’t get treated with such trust in a UK live music venue! The beer was good. The Auto Club were great.